Muir: The sun shines not on us but in us. As we’re heading into some stormy weather here in southern California, it’s important to remember that, as John Muir put it, “The sun shines not on us but in us.” Image by Sheila Piala who made this lovely shareable jpg and found the source too: “Mountain Thoughts”, written by Muir during the 1870s, were collected by Linnie Marsh Wolfe and published in John of the Mountains (1938). We’re making progress on Earth Day with more meetings this week and some important announcements on the horizon! 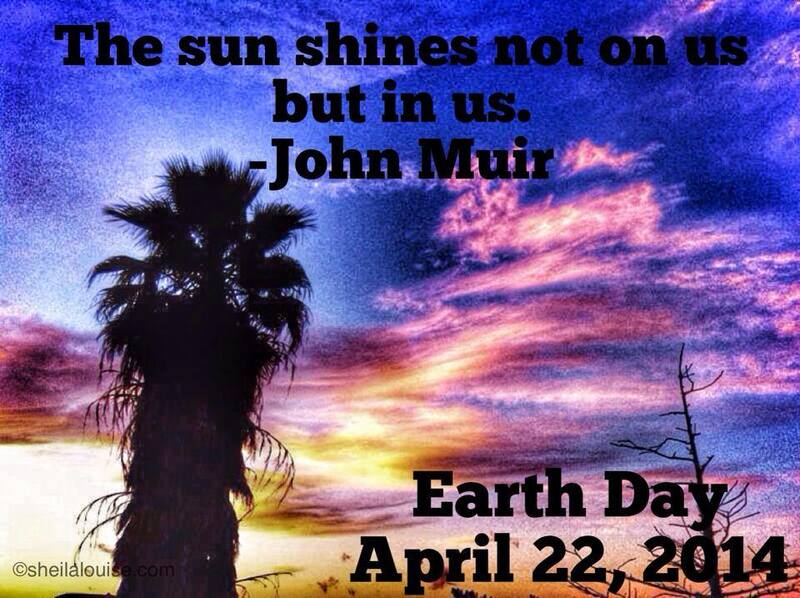 What will YOU be doing at Earth Day 2014?